Backyards have come a long way since the perfectly manicured AstroTurf lawn days of the Brady Bunch. Websites like Pinterest and Houzz have totally transformed our yards from simple and well-groomed to a stunning multi-functional paradise. For those of us whose yards haven’t quite reached oasis status, we spend countless hours browsing Pinterest, pinning ideas that will transform our yard into the envy of the neighborhood. There are so many things that go into planning a backyard paradise it can be hard to keep your ideas organized. Try breaking your yard up into categories. An inviting place to sit and enjoy a drink as you take in the views of your own slice of paradise. An outdoor seating area is one area you won’t want to neglect. From a patio table and chairs to a full outdoor living space with a couch, loveseat and coffee table, the possibilities are endless. You want to be sure to include an area for outdoor cooking. After all, you will want to spend as much time as possible in your new little slice of paradise. A Big Green Egg could be the perfect feature for your outdoor kitchen if you are looking for something that is a little more versatile than a traditional grill. Either way an outdoor kitchen will allow you to spend more time with your guests and spend more time enjoying your outdoor space. A water feature of some kind is like the crowning jewel of your backyard oasis. 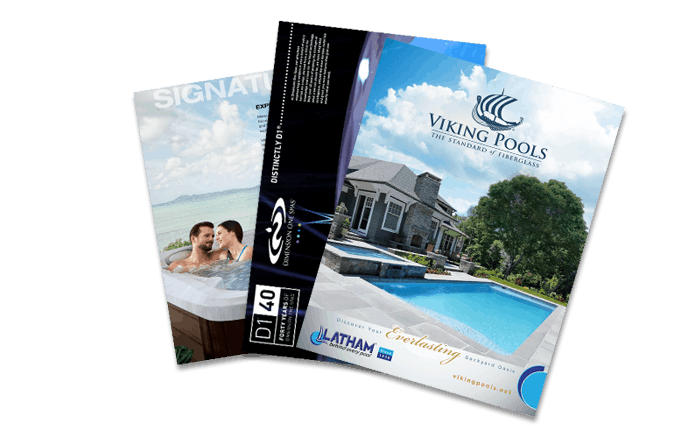 Whether you are dreaming of an in-ground pool with fountains and a tanning ledge or a hot tub with a designated Stress Relief neck and shoulder seat. Your backyard just won’t be complete without some type of water feature to enjoy. It could even be that your backyard needs both pool fun by day and a romantic soak in a hot tub by night. Whatever the case you won’t regret adding water to your backyard. Even with organized ideas, they are still just dreams if you don’t put them into action. So, bring all of your ideas and come see us at Aqua Pools. We have been in the business of turning dreams into reality for the last 40 years. We would love to help you take your backyard from Brady Bunch boring to backyard paradise.